2-4 Tuesday: 4 Books I COULD NOT Teach WITH OUT! I'm sorry to report that a stomach bug kept me out of the Linky Party hosted by Lindsay over at Pursuit of Joyfulness yesterday! The Abbott house has been hit hard. My husband and daughter had it two weeks ago and I've had it since Friday. It goes in waves, here's hoping I'm on the mend! I did get in under the wire to join the Linky Party that Steph at Stay Tuned is hosting today. Please check out her site for more participating sites! I've mentioned before, so pardon my redundancy, that I did my Kodály levels at Portland State in the later(er) 90's with Susan Brumfield and Jill Trinka. It was seeing Jill present at the Colorado Music Educators Conference when I was in college that sparked my interest in Kodály. She is an brilliant presenter and musician. More over, she's an amazing teacher and mentor! Her 4 collections are used almost daily in my teaching! You have to listen to the title song, it's much different then the version she sings for John Feierabend's Music in Preschool collection. If you've listened to Jean Ritchie's version (that you can download from iTunes), it's that version. This collection made me fall in love with "Miss Julie Ann Johnson." Once you listen to Jill sing it, be sure to check out the Lead Belly version too! Volume 2: LOVE "Dillan Bay". You MUST listen to this one, if not for your kids, for your own enjoyment. " Pretty Polly" is very dark and again, Jean Ritchie sings a similar version, but it's gorgeous regardless of the morbid text. Her version of "Frog Went a Courtin'" holds a special place in my heart- it was my son's favorite son when he was one and when we took Jill out to dinner when he was a baby she sang it to him in the car. I will never forget the expression on his face, simply priceless! Volume 3: This has one of my FAVORITE play parties of all time: "I Want to Be a Farmer." SO much fun! Some "can't live without" songs in this volume: "The Keeper", "The Hobo's Lullaby", "The Riddle Song" (This if my FAVORITE version of this song. . . EVER). And then she shows off her amazing strings skills on "Jesu Joy of Man's Desiring" and "Simple Gifts". Volume 4: This is the very first book of Jill's that I bought. I've used her version of "It Rained a Mist" on my second grade concert a couple years ago and the kiddos played tone-chimes with it. They LOVE "Naughty Kitty Cat" (I always sing her ending). My 5th graders right now are playing and singing "Going Down to Cairo" from her book. Also check out her new DVD that she just made. And all of her CDs that she and John Feierabend collaborated on are amazing! Hope you all had a GREAT Tuesday! These are all on my wishlist! Which should I get first? That's tricky, I LOVE them all. I like that book 4 (and I forgot to put this in my post) starts to incorporate and break down how to teach it pedagogically. I had my level 2's get book 4. Jill puts all the nuances (vocal slides, grace notes) that are stylistically heard when you perform it, but in book four she goes through how to look at the abstract or skelton of the song and make the rhythmic and melodic elements accessible for students. I could not imagine teaching without these. While not primary sources, they are incredibly reliable and site all the primary sources. Thanks for linking up! 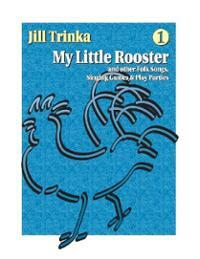 And thanks for all the info on Jill Trinka resources! Thank YOU, Steph! Sorry my post was so vague. . . stomach flu stinks! I know my level 2 Kodaly students purchased it this summer. Let me know how else I can help!! Also, my Monday Manipulatives linky is still open if you decide to add a blog post (or link a blog post you've already done). 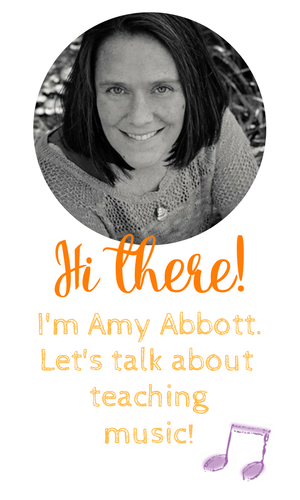 You have SO many great blog posts on manipulatives that should be shared!